…. 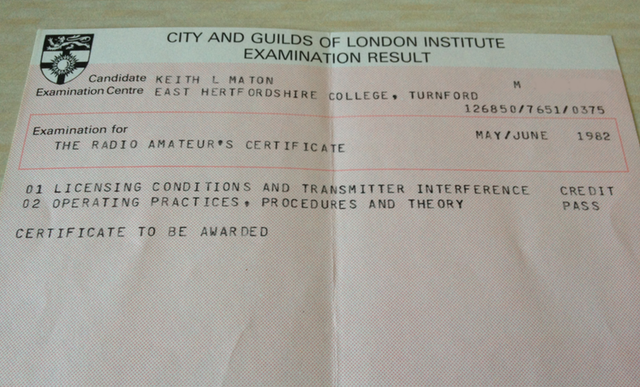 I passed the RAE. This dropped through the letterbox. It had taken nearly three months from sitting the exam and this was what I’d been waiting for. I passed! This was only the half way mark though, I had to apply for my licence so this was done quickly and the application posted. I knew it would take a couple of months for my callsign to be issued so it was back to waiting.